Is Nintendo Brewing Something for the Earthbound Franchise? After years of the cold shoulder, deaf ear and blind eye, Nintendo could finally be throwing the long ignored Earthbound fanbase a much overdue bone. The folks at Earthbound Central have picked up an interesting Tweet from Shigesato Itoi, the creator of the Mother series, as Earthbound's legacy is known in Japan, stating he believes this often ignored franchise could finally be made "playable." "Snce it's now okay to blurt this out, here goes: the Mother republication thing I mentioned briefly before is making progress." "It's not [Mother] 4, though! This has to do with making Mother playable. I can't give out any details just yet, but I do at least need to say that it isn't 4." Of the three games in the Mother series, the only one to make it to American shores was Mother 2 on the Super Nintendo under the name of Earthbound. Those not familiar with the series might recognize the protagonist, Ness, from Super Smash Bros. Melee on the GameCube. While a horrible tank commercially in America, the game retains a high level of respect from its loyal fanbase because of its modern day setting and interesting themes. The other two games, Mother and Mother 3, have never been released stateside or even so much as acknowledged by Nintendo of America. The first Mother game is a small NES RPG that is rather unplayable in this day and age. Mother 2 is actually somewhat of a remake and is also infinitely more enjoyable. Mother 3, on the other hand, is a wonderful RPG and possibly the best released for the Game Boy Advance. Although much has been said about Nintendo never really acknowledging the game, they also selectively ignored the popular translation project which finally opened up the charming title to English speakers across the globe. 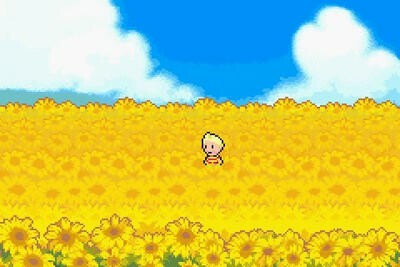 Trust me when I say that Mother 3 should be in the top 10 list of games you play before you die. Its protagonist, Lucas, is a playable character in Super Smash Bros. Brawl for the Nintendo Wii. From the sound of Itoi's post, it appears that the games will get a much deserved re-release, most likely via the Nintendo 3DS eShop is my guess. If they be released in America has yet to be seen, but judging by Nintendo's track record with the series, don't get your hopes up.